Your starting point for brain and head injury information on the web. The purpose of this page is to provide a central point for those in need of information about brain injury. Our goal is to provide education and assistance with the process of diagnosis and proof of brain injury, sometimes called head injury. This page features articles, information and graphics about traumatic brain injury. Our View of Advocacy: We of the Brain Injury Law Group make our living as advocates. But advocacy implies more than being a lawyer. It means dedicating oneself to the community we serve - the survivor, the family member of the survivor, the medical professional. To that end, we have created this home page, to provide information, resources and links, to help you learn and solve the problems you face. 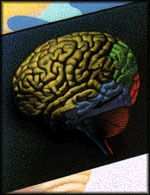 The Brain Injury Law Group is a community of plaintiff's trial lawyers across the United States united by a common interest in serving the rights of persons with traumatic brain injuries and a common commitment to fully understanding the anatomic, medical and psychological aspects of TBI, so we may be of better service to the survivors of brain injury. The members of the Brain Injury Law Group are not part of a national law firm. We have separate law practices and are licensed to practice only in our home states. Organized by Attorney Gordon Johnson of Wisconsin, we will assist survivors of TBI to find a lawyer specializing in brain injury law to represent them in the state where they were injured. The Brain Injury Law Group is here to listen and for that reason we maintain an 800 number and a staff willing to discuss your case with you and provide guidance referrals and legal information where appropriate. There is no charge to call. We only represent people on a contingent fee basis and charge a fee only when we recover for the client. The transmission of an e-mail request for information does not create an attorney-client relationship, and you should not send us via e-mail any information or facts relating to your legal problem. If you are a client, remember that e-mail may not be secure. WE BELIEVE THAT THE FAR PREFERRED METHOD FOR YOU TO CONTACT US IS BY PHONE AT 1-800-992-9447. We have sponsored several brain injury related web pages: http://tbilaw.com and its companion site: http://waiting.com. We are active with respect to education and teaching about brain injury issues and are available to speak to brain injury groups on a number of topics. Contact Us | ©Attorney Gordon S. Johnson, Jr. 1997-2008.